A Scottish actor, from Springburn, Glasgow. 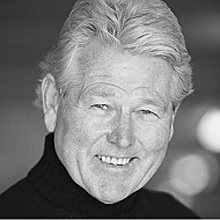 Recognised for his resonant baritone – James will give your project a touch of class. Recently seen on film alongside Eddie Izzard in Boyz in the Wood (2019), Orlando Bloom in Romans (2017), Peter McMullan in Tommy’s Honour (2016). James is perhaps best known as Dr Dan Marshall in the blockbuster TV series Return to Eden – and as a leading man on stage in London’s West End. Over the years he has voiced everything! Animations, corporate videos, radio shows, commercials, game-show announcements, films, talking books and more. A distinctive, deep mature Scottish voice, and an excellent narrator.